Enchanting moments, magical memories and big adventures await you! From the 47 square miles of fun at Walt Disney World in Orlando to intriguing destinations around the world, we will make your Disney dreams come true! The Walt Disney World Resort is home to four fabulous theme parks and two water parks. With 23 unique resorts to choose from, a Walt Disney World vacation home base is possible for all tastes and budgets. This world-class resort hosts a huge spectrum of possibilities for you to experience beyond the parks, too. Golf courses, water sports, horses, biking, spas, fine dining and excellent shopping are just some of the offerings you’ll find on property. The Disney Cruise Line will whisk you away on a carefree vacation. With multiple ports and destinations from Port Canaveral to the Caribbean, Texas to Mexico, Alaska and even Europe, a Disney cruise is guaranteed to enchant you with activities for all ages, superb dining, and excellent entertainment you expect from Disney. Enjoy award-winning, unmatched service from the friendliest crews at sea! Disneyland in southern California is where Walt himself began his dream. With two theme parks and three stellar resorts, Disneyland has expanded into a vacation destination of its own! Here you will find touches of Walt Disney everywhere from Main Street, USA, to Sleeping Beauty Castle. Classic Disney characters and modern favorites greet you at every turn! You’ll find fun for little ones and thrills for your daredevils in these terrific theme parks! Adventures by Disney are Disney-guided family vacations to some of the most sought-after destinations around the world. From exploring the streets of Paris to experiencing an African safari, the possibilities are endless. Beyond leaders, your Disney tour guides are storytellers and local experts. If you’ve always wanted to take your family to the Great Wall of China, the Great Barrier Reef, or through Yellowstone National Park, let the professionals you trust at Disney lead the way! Aloha! Aulani, a Disney Resort and Spa, is located on the beautiful shores of Hawaii’s Oahu. Disney magic is alive and well in this gorgeous resort. You will be immersed in Hawaii’s beauty and tradition while enjoying Disney’s legendary service throughout your stay. Explore the island, enjoy the private cove and experience fine dining and entertainment in the Hawaii of your dreams. 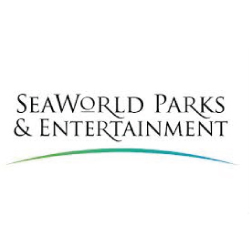 Sea World Parks and Entertainment is home to Sea World, Aquatica and Discovery Cove. 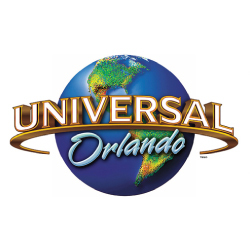 Want to plan a day at one of these amazing parks during your Orlando vacation? We can help! Contact us for tickets today!